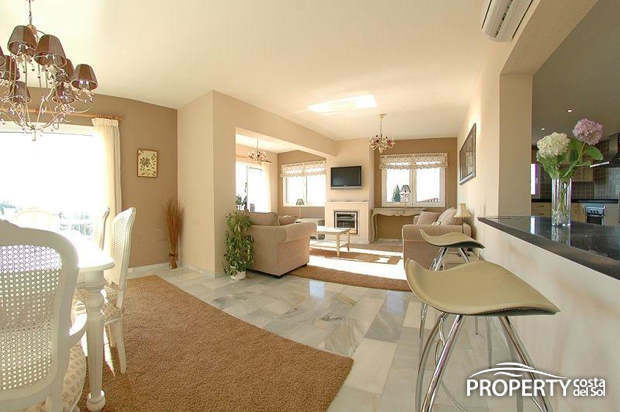 Nice 4 bedroom villa in Elviria. 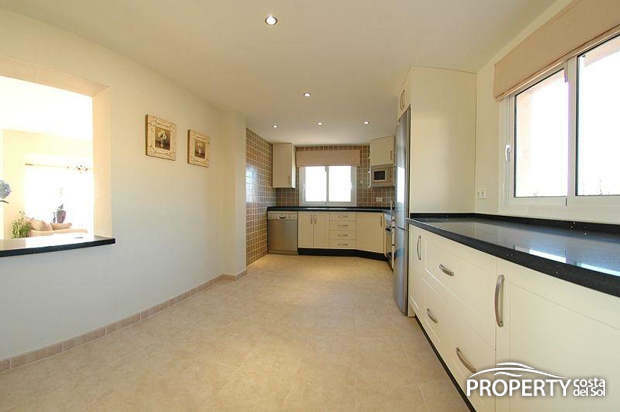 This villa has been modernized in 2007 including a high quality kitchen and bathroom appliances. From the terrace you can enjoy great views towards the coast line.Furthermore this villa is situated only a short distance from shops & restaurants and boasts of many features including private garden and swimmingpool, carport, fireplace, alarm system, double glazing, marble floors, aircon hot & cold etc. ELVIRIA is a sought after community located about 15 minutes east of Marbella. It is well equipped with services, amenities and entertainment facilities. Because this is a coastal urbanization, many homes are within walking distance of the beach. Also conveniently located are the Santa Mar?a and Santa Clara golf courses with their respective clubs; two more courses - Golf Club Marbella and Golf Rio Real - are only a short drive away. Cabopino port offers nearby moorage to Elviria residents with Malagas International airport only 45 kilometers away. Yes, please send more information about this property with ref.no: 506.